I thought these would be a great favor for my daughters 9th birthday slumber party for about 6 girls I ordered about 10-12 and the moms were trying to take them, My mom was trying to get one!! Q:What size gumball fits in the reservoir? A:The gumballs that we have in them are slightly over 0.5." The opening where they come out is exactly 0.75" you can use many kinds of candy. This will hold 100 m&ms perfectly. 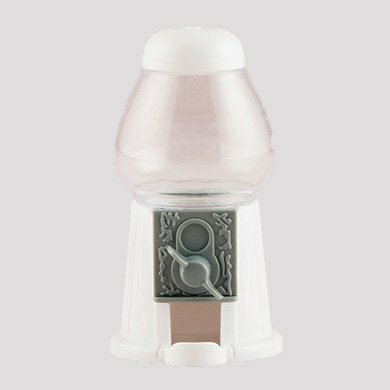 Could gumball machines be sleek and sophisticated? Absolutely. 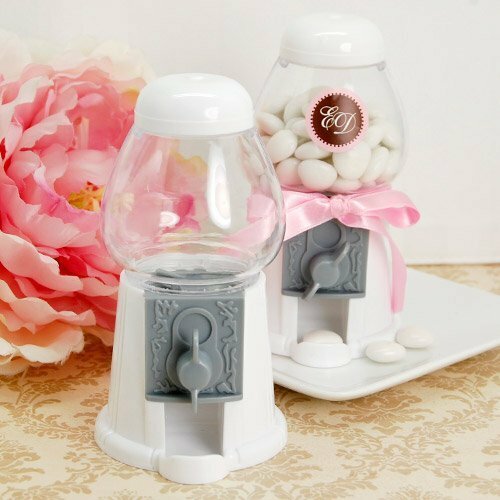 These chic mini classic empty gumball machines are anything but child's play—though kids will love them, too! 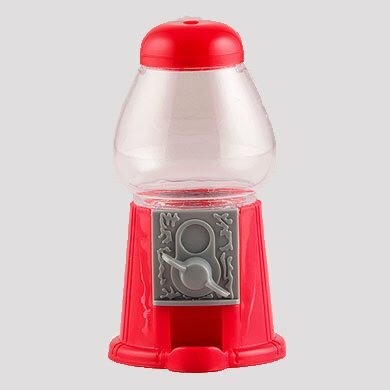 Each gumball machine features a silver-toned twist dispenser and a clear bubblegum reservoir. Machines come in white or red and arrive all ready for you to fill with your favorite treat. Measures 5"H and holds up to 1.75 ounces.